Yalarm explains that there were many races on the Earth; some came and visited, some came on the mission of the Mothership Rexegena (those on the Rexegena were from many galaxies and universes) and some were already on Earth, the reptilians, reptoids, annunaki, etc. Many built civilisations, even civilisations based on love and the human values. 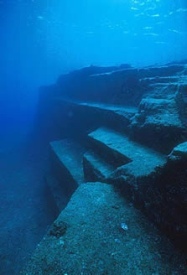 Due the Fall of Atlantis, much was lost, and scientists still bump up against the “missing link”. Artefacts and scientific instruments are found that could not have been created by cave-dwellers. Yalarm continues and explains that soul memory exists in all; it is at the same time an individual soul-memory and a collective soul memory; the indigenous peoples of Australia – and many other nations – have memories of the starpeople being here. Kariong – the place where the starship fell from the Mothership Rexegena – holds memories known by many, in their soul histories. Lion Island is another place of memories. 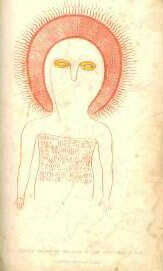 Yalarm also explains a little about the nature of the Angelic Realms and the Angels. Yalarm tells of the history of Earth and how the Humans were genetically engineered. Before the Fall of Atlantis, there were many races of starpeople coming and going on Earth. Electricity was generated and distributed through grids under the Earth. The grids surrounding the Earth closed up somewhat to prevent the catastrophic energy from going out and affecting other planetary systems and galaxies. This is now loosened to admit the energy from the Source of All; it will raise all life forms on Earth and bring the Golden Age. Those that we call “starpeople” are actually light beings existing in other dimensions. They existed in the higher dimensions we had here on Earth. With the Fall of Atlantis, the Earth peoples fell out of the 4th and 5th Dimensions. 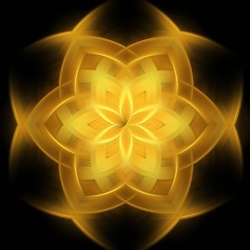 The light beings and star peoples from different races in the Universe embedded higher vibrations and light in their children by Earth peoples. This gave rise to so-called junk DNA which has come back into its own, due the return of Earth to the 4th and 5th Dimensions. 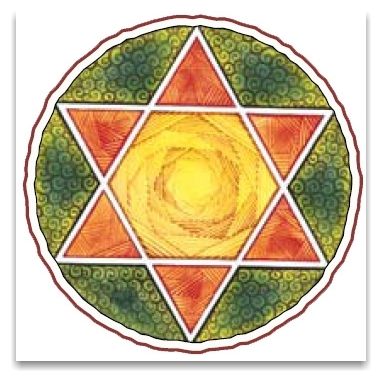 Yalarm (who has come to talk about matters on Earth in Atlantean times) indicates that he once had an (incarnation) on one of the stars in Sirius. Yalarm tells that there are many different races on the stars and planets in this constellation. Light beings can also change their colour. Light is colour, colour is vibration, and light beings may vary their light and vibration; there is a sound which goes with that as well. Time is different in the other dimensions, compared to time as measured by scientists on Earth. The Spirit Being Yalarm and the Oracle continue to provide information about life before the Fall of Atlantis. The Star Peoples from Venus were here, and among them, were Star Peoples from many worlds and even worlds outside of our galaxy. Earth was a veritable United Nations of Star Peoples (or light beings). Yalarm and The Oracle explain some history of our solar system and the astronomy before the Fall of Atlantis. 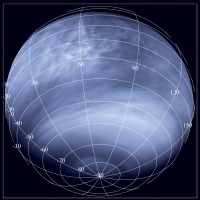 The photograph is Venus in the Ultraviolet, looking from below the South Pole of Venus.